It is important that groups know their requirements for chairs and stands and how these should be set out. An accurate seating plan showing both chairs and stands must be sent to Louise Biagini at louise@glasgowmusicfestival.org before 17 February 2019. Please note that we are unable to provide sticks, beaters and accessories. Bring your own amps and drum kit, if required. Please note that Adults, including Instrumental Instructors/Tutors, are not eligible to take part in any School class or Youth Band. If they are playing or found to be playing, the Orchestra/Band will be given Adjudication only; no marks will be given. 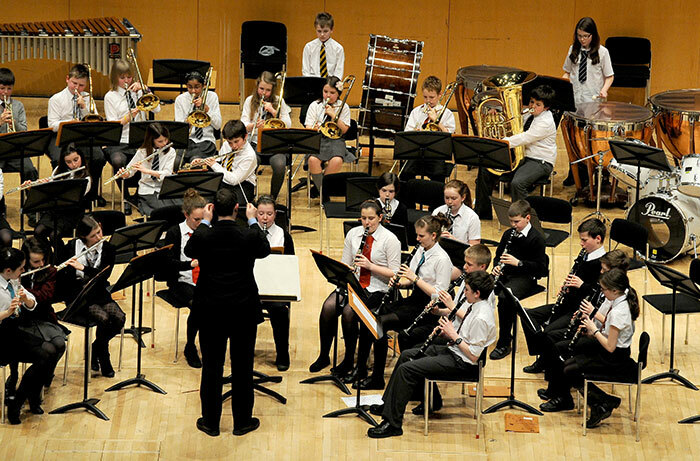 Percussion Instruments will be available only in Glasgow Royal Concert Hall: 3 Timpani, Bass Drum, Xylophone.